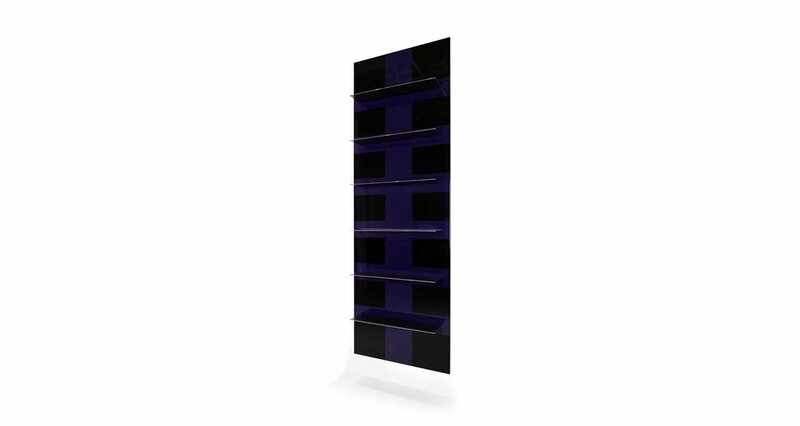 The aluminum body of this floating unit has a polychrome lacquer face and patinated bronze shelves with burnished edges. 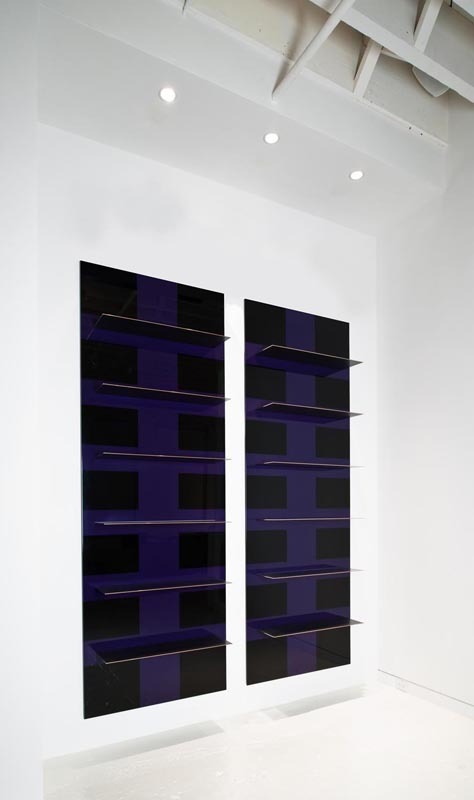 Shown in Violet and Black lacquer. Last image shown with 7 shelves (W 39" x H 115"). 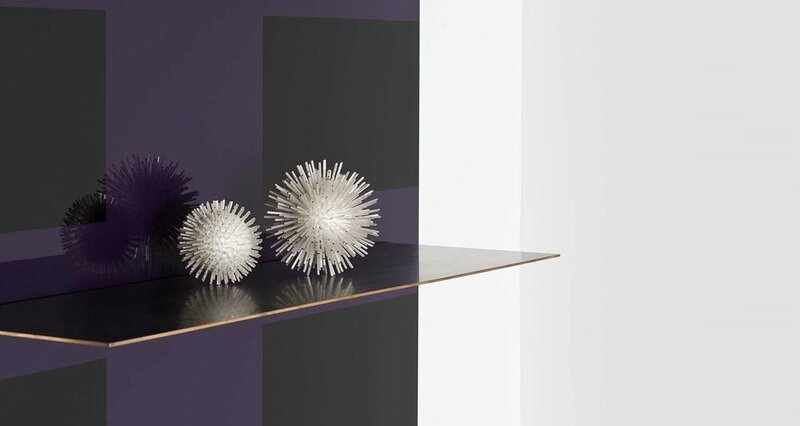 Available in a selection of lacquer colors.